InstantPublisher accepts camera ready custom designed covers directly from authors, along with offering many stock cover designs to choose from, and full custom designed cover services. Everyone knows you can't judge a book by its cover; however, the cover is always the first thing a potential buyer sees and will influence the initial decision to purchase the book. The cover is a very important part of a self published book and InstantPublisher recommends that the self published author put a lot of thought into the cover design. 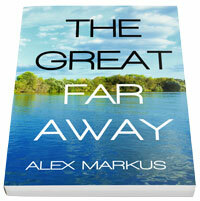 InstantPublisher also offers Pre-Designed Book Covers you can add your title to without additional design fees. Back cover wording results in an additional $20 setup fee. Stock cover images are the entry level alternative to expensive custom cover design services. 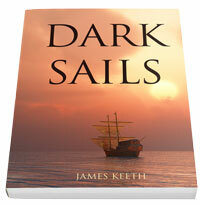 InstantPublisher offers many attractive pre-designed covers for self publishing. 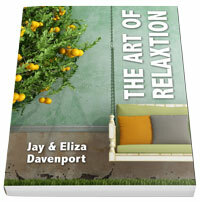 Covers are customized with your title description and author’s name. Font color and style can be changed but images cannot be modified. For a completely custom cover for the self publisher, IntstantPublisher offers custom cover design services. InstantPublisher accepts camera ready cover designs in many different formats, including .TIF, .PDF and .JPG. If you are comfortable designing your own cover, the specs are set to roughly 1/8" larger than your actual book size to incorporate bleeds, with .5" margins for text. Feel free to use our Cover Templates for Photoshop and InDesign. Covers Designs need to be sized correctly and submitted at a minimum of 300 dpi. Word can be used for very basic covers but using a high quality graphic design program is suggested for high quality cover reproduction. Use the spine chart to determine the width of your book spine, if necessary. InstantPublisher has determined from customer input that the hardest thing about self-publishing a book is designing the cover. We hope to alleviate some of the problems customers are having by offering a custom cover design service at an affordable price. InstantPublisher will take your cover idea and help turn it into reality by using your input and the talent of our in-house graphic designers. Working directly with our talented design staff, you're sure to have a cover that you will be proud to call your own. 1) The Standard Self-Publishing Cover Design Package includes cover consultation and one hour of cover design time and 2 online proofs for $85.00. 2) The Premium Cover Design Package includes cover consultation and 2 hours of cover design time and unlimited online proofs for $130. Most simple cover designs can be completed with the standard design time. Intricate cover designs will need to use the premium service. We will need an order placed before we can start on a cover design for obvious reasons. Our custom cover design option includes clip art services but not illustration services. Custom Illustration services are available.